Cle Elum, Washington is a small community 90 minutes from Seattle, boasting only 1,872 residents as of the 2010 census. In April, the community lost a freshman from Cle Elum-Roslyn High School when he made the forever decision to take his own life. 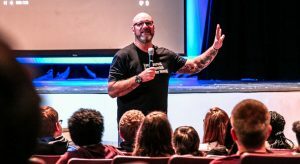 Youth motivational speaker and crisis intervention expert Jeff Yalden spent a full two days in the community last month, presenting to high school students, middle school students, and parents – and simply being available for those wanting him to lend an ear. He said he also loved to see how committed the staff members were to the welfare and well-being of the kids. First, Yalden spent two hours with roughly 250 high school students. From conversations with the young man’s friends, it became apparent that he told some of them what he intended to do, but the feeling was that he would not go through with it. “And so here we are – talking about a young man who told people, and followed through,” he said. We have to take all signs seriously, according to Yalden. Remember: See something, say something. Know something, do something. Yalden hosted a parent program on the first evening of his visit, and although speaking to the parents in attendance and having conversations with them is always productive, there is always the sense that the ones that show up are not the ones Yalden needs to reach. The parents who show up are usually engaged and involved in their children’s lives already. 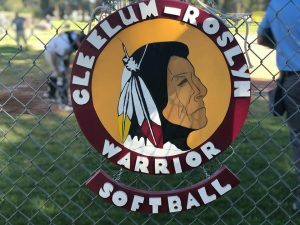 On day two of his visit, Yalden had an early-morning follow-up session with students and staff at Cle Elum-Roslyn High School before heading Walter Strom Middle School, where many of the students knew the young man. “There was a lot of crisis going on at the middle school – a lot of hearts to touch, lives to change, hope to restore – and give these kids direction as they move forward,” he said. For Yalden, it’s not just about speaking at assemblies and making presentations. 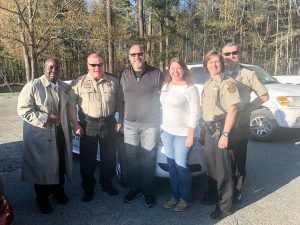 Jeff Yalden’s heart sank when he heard the news of two completed suicides and one suicide attempt last month in Brookfield, Missouri. Two more young lives cut short by what he calls the “forever decision” in an area that has suffered too much loss already. Yalden is a teen mental health and youth motivational speaker. He is also a teen suicide and crisis intervention expert. For more than 25 years, he has worked in the trenches of communities hit hard by suicide contagion, and has proven to be effective in preventing further suicides and bringing hope to communities that have lost hope. Yalden visited the Brookfield school community a year ago, and remains friends with Angie Smith Wallace, a STUCO advisor and teacher at Brookfield High School. Wallace also founded the Taylor Gilpin Wallace Foundation for Suicide Prevention on behalf of her son after her son made the forever decision to take his own life. In the above video, Yalden reached out because several people in the community reached out to him. In the video, Yalden laid out the two questions that young people need to have answered by the trusted adults in their lives: Can I trust you? Do you care about me? He also talked about the fact that most young people don’t want adults to fix their problems. For more about this, check out Yalden’s TEDx talk HERE. Yalden said that leads to a persistent form of depression called dysthymia, which could lead to the desire for suicide. “Teens need relationships. They need trusted adults that are patient, giving of their time, understanding, supportive, and love them unconditionally,” he said, adding that it is imperative that we teach them coping skills and problem-solving skills and instill in them the importance of balance and boundaries, especially when it comes to social media, the Internet and YouTube. Too much exposure to social media, as Yalden explains in this video, can also cause depression and other mental health issues in our teens. Mental illness threatens to become the biggest public health crisis in America, and this is no longer a family issue, according to Yalden. This is an economic issue. He said that mental illness and depression factor into 90 percent of suicides – and many suicides are preceded by factors that we don’t even notice. As a man who proudly lives with mental illness every day, Yalden is all about crushing the stigma attached to it. Yalden can’t overemphasize the importance of a healthy self-esteem. “I promise – on the other side of fear is self-esteem. Don’t let anyone take that from you. You have to do the work, though,” he said. He said that this very sad time affects us all – and this is a time that will shape us. “This will either expose wounds or build muscles. It’s your choice how you respond. Allow yourself to grieve on your terms. I am so sorry and thinking of you all,” he said. Check out Jeff’s new nonprofit HERE. Hey, Stark County – Perry High School and Edison Middle School community. I’m a mental health and suicide prevention /crisis intervention expert for teens and young people. Over the past few months, I have received a lot of cries for help from people in your community, so after this last loss, I decided to make the above video for you – hoping that you that you can do a little to help with all of you trying to move forward. Parents and students, teachers, administrators and community – I hope you are listening. I can’t do anything unless I am invited by the schools or the community, but first I want to be very careful in the words I use and how I say what I want to say. Please understand that my intentions are pure, and my heart hurts for you all. Most importantly, I want to send my prayers and thoughts to every family that is directly impacted. Their lives will never be the same. For the rest of their lives, they have to spend time picking up the pieces and asking why. I want to acknowledge each and every one of you – whether it be families, friends, classmates, students – teachers, staff members, administrators – the whole community and the surrounding communities as well. Not one person isn’t affected by these losses. And if my understanding is correct (I’m going off emails, social media messages and I’m reading online), you have all experienced significant loss in the past five or six months. Four losses since August. One this past New Year’s Day. In my work, I deal with teen suicide and loss every day – and words can’t adequately describe the pain I feel in my heart when I hear of the death of a young person. But I get it, though. I was once there. I understand. After a suicide – or multiple suicides like you are dealing with – we’re left asking why a young person with so much to live for makes a forever decision to end his or her own life. Why or how would a teenager get so hopeless or feel that suicide is the only option? My friends – our system is broken. It’s flawed. Our teenagers are growing up in a broken system in America, and America has a responsibility. The responsibility is simple: If we’re going to have Internet, cell phones and social media platforms –then our government needs to provide the adequate care for what this brings. Simply put: We’re giving our young people rights and privileges that they are not emotionally capable of handling, and this can bring consequences like mental health issues and depression – and in many cases, this can lead to suicide. We need to teach our young people coping skills and problem-solving skills. My friends, this is a parenting issue, but I think education needs to change. We need to focus more on social and emotional learning. We need to focus on and really build the self-esteem of our children and prepare them for life’s challenges, obstacles and situations. We need to give them the tools to be successful in life. In the meantime, we need adequate mental health care and counseling. We also need more involved parents. We need to teach our young people that it is OK to ask for help without feeling intimidated or wrong for asking. But here’s what I am seeing all too much: When suicide happens, we’re left reacting. We are emotionally reacting. Parents and community are looking to place blame on the school, the administration, or the teachers. Suicide is never the result of one thing. I will say that one thing can be the straw that breaks the camel’s back, but suicide is never the result of one thing. Also, no administrator is ever given a certificate on how to handle a suicide – whether that suicide is on campus or off campus – whether it happens in the building, outside the building – whether it is an incoming student that is relatively new to the school community or it’s a popular student athlete, adored by everyone. No student loss or suicide is ever the same. They are all different, and how they are handled isn’t really anyone’s business because the school administrator and his or her team has to think about two things – what is in the best interest of the students, and what is in the best interest of the teachers and staff members. Our job as parents is to support their decisions and accept them – especially now. Our job is to rally together and support the school, the teachers, and the administration – not just when we have loss, but every day. 1) Can I trust you? 2) Do you care about me? These two questions are the cornerstone of every trusted relationship. Parents – if your if your child needs a trusted adult immediately because they are distraught and emotionally suffering more so than ever before – are you that trusted adult they would go to first? This is a problem. Parenting today’s young people is a different game than it ever was before. Today, I would never tell a child that I am disappointed in them. The point I am trying to make here is that kids are a parent’s responsibility. Parents need to support the schools, the teachers and the staff – and our teachers and staff need to support our parents. We all need to do what is best to teach, to educate, to inspire and to encourage our youth. We all need to be trusted adults where our kids feel safe, so that they can open up to us without fear of being lectured, judged or even disappointing us. 2) They feel that they are a burden. 3) They have the desire to end it all. How do we help those that aren’t asking for help? We need to do a better job to teach our kids that speaking up and saying something is the right thing to do, because our kids are on the front lines, and they find out first. Our teens want to talk to someone that understands them – someone that understands what they are going through today. They don’t want to be lectured. They want to be listened to and validated that their feelings and emotions are normal. We all need to do a better job, from our government, to our teachers and coaches, and most importantly, our parents. Our teens need to also do a much better job of asking for help when they need help. I can’t emphasize enough, my friends: It’s OK to ask for help. Young people: I’d like to invite you to open your heart that you have trusted adults wanting to be there to help you answer life’s toughest questions. Don’t ever be afraid to ask for help. You matter. Don’t ever think you’re alone. You matter. Don’t ever feel that you are a burden to your family or society. Parents: I need you to know that our youth today are hurting more than you can imagine – and starting earlier to feel emotions than we ever felt our own emotions when we were growing up. It’s almost like society is taking over. Parenting a child has become more difficult, with less parental influence and control. The speed of pain for a child is instant – almost as fast as turning on a light bulb. Bring the family and community priorities back. Remember things like values and morals, kindness and community pride. Love and support our schools and our youth. I challenge you to volunteer, sponsor, and donate. Give from your heart. And whatever rumors might be going around – let’s not participate. 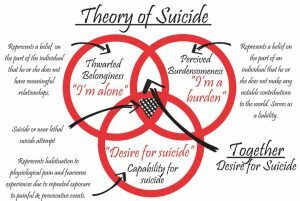 Again – suicide is never the result of one thing. Talk to your children honestly. Be careful about sugar-coating the truth, because they know so much more today than we ever did. For all adults, remember this: It takes a village to raise our children. And remember the two questions our children ask every adult in their lives: Can I trust you? Do you care about me? Be approachable so that our children know that they can safely come and talk to you, and that you are not going to judge them for their questions and thoughts. Also know that all our teachers and our school communities are hurting too. Reach out and show your support. A quick message to our teachers, staff and coaches: Thank you. Remember that you make a difference every single day. So many questions yet in many cases there are so few answers – but we are all responsible, and we need to move forward together for our youth and for each other. Think about what is in the best interest of our community. Let’s come together and respect how the school handles this on their end; the decisions need to be made, based on a comfortable balance – a comfortable balance compassionately meeting the needs of our students, their staff, their teachers and the community as a whole – while preserving the ability of the school to fulfill its primary purpose of education. This is a very sad time – a time that affects all of us. It doesn’t have to define our year, though. I’m so, so sorry and I wish I can say more. My friends, suicide and mental health are becoming an economic issue, and we need all of you to speak up. This is the greatest crisis of our time. I love you, my friends – and I am sorry for your losses. Stay beautiful, Perry Township – and I know you quite well, too. I’m sending prayers and thoughts to all of you. 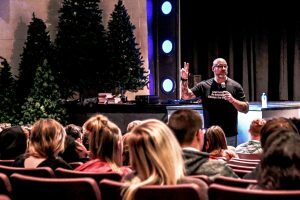 In March, teen suicide prevention expert and youth motivational speaker Jeff Yalden spoke in northwest Missouri, delivering messages of comfort and hope to two communities reeling from the losses of two irreplaceable young people by suicide. Yalden said then that Missouri was going through a tough time with teen suicides. He was there three weeks before that to deliver a comprehensive presentation about teen suicide and mental health in Hannibal, MO before coming to Brookfield and Barnard. And now, another young person in Barnard recently made the forever decision to take his own life – and he was a recent graduate from one of the very schools Yalden visited – South Nodaway High School. After he got an email about this, Yalden confirmed this with Nick Wray, the guidance counselor there. “My heart just broke,” Yalden said, adding that the young man graduated in 2017, and was a senior when Yalden spoke there in March. “He didn’t really hang out with kids his age. All his friends were all older than him. I don’t know the details, so it’s not fair to speculate – but what upsets me so much about this is that I spent 24 hours there,” he said. One of Yalden’s regrets is that while he was in Barnard, he dealt with the junior class for the most part, because the junior class was hurting from the loss of their classmate, Bailee, who ended her life on February 5. Yalden was upset because he repeats this message as much as possible, and yet it sometimes seems to fall on deaf ears: If you need to talk to someone, don’t be afraid to open your heart. “Listen: We all have 100 percent potential, but if you are unwilling to ask for help in life, 100 percent shrinks down to 50 percent,” he said. It’s important to figure out what you can do alone and what you need help with. Yet he finds out months later that yet another young life has been snuffed out by suicide. He said that in school, everything is kind of done for you. But after you graduate, what are you doing? Yalden’s intention is never to come off as insensitive. He has helped folks deal with loss for more than two decades. But he said that as parents, we need to do a better job of being present in our kids’ lives – teaching them about adulting and responsibilities. Every suicide is different, according to Yalden. Every suicide carries different emotions as it permeates throughout the school. In this case, the student had already graduated and gone out into the world. To the students, families, teachers and the school community in Barnard, Jeff sends his deepest condolences. When we are young, we can’t see the wisdom in the phrase, this too shall pass. I want you to know that our struggles – what we go through every single day – shapes us and builds our character. It defines our courage and builds our self-esteem. There is nothing that you can’t go through. Don’t ever be afraid to ask for help. “Know that you have trusted people in your life; people that you respect – people whose opinions you value. Don’t ever be afraid to go to them. Yalden said that if a person is unwilling to ask for that help, then all too often the pressure mounts and puts them in a state of mind where they are unable to make healthy decisions. We all need to do a better job of supporting and encouraging each other. “I think we need to do a better job educating young people – letting them know that life is a struggle – to dot your I’s and cross your t’s and to move forward every single day,” Yalden said. But the other side of that coin is the possibility that we might scare our kids too much in trying to teach them that they need to be great and perfect. Yalden said mental illness is no longer a family issue. This is an economic issue. “If we are unwilling in our families and our schools to talk about mental illness and the attention that it needs, then we are not going to be able to make any headway. Whether it’s mental illness, depression, anxiety or suicide (yes, that word) – if we are unwilling to talk about it – we are going to continue dealing with this. We need to get comfortable being uncomfortable talking about it. We all have a responsibility to save lives – to reach out and let people know that what they are going through is temporary. Suicide is forever. To find out more about Yalden’s speaking programs, including suicide prevention, mental health, teen coaching and more, go HERE. Let’s be honest. We are all a mess – and that is the common ground where we must come together and pick each other up. To the friends and family of Trystan and Tanner – to all the teachers and staff members – and to the whole school community: My name is Jeff Yalden. On Thursday, September 21, I am coming to Tioga. I am looking forward to my visit, my friends. I get it. I am teen mental health expert. I have helped over 100 different communities to move forward after loss. Also – I suffer from mental illness myself. I am diagnosed with major depression, bipolar II and PTSD. On Thursday, I want to invite you to come to school with an open heart. I understand what you are going through. I understand that many of us are feeling numb. We have questions – and, listen– I don’t want to be insensitive about this at all. But on Thursday, I promise you that my heart is going to be 100 percent with each and every one of you. I am sorry about your loss. We can’t let this define us. The pain is probably going to be forever. There is no other way of saying it. But I will tell you something that I have come to learn: We are not victims in life. We choose to rise up and be victors. We can’t let this define us. However, this is going to shape us – just like everything that we go through in life – and on Thursday, I promise you that we are going to laugh, we’re going to spend time in thought. We might even shed a tear or two. That’s OK – because in the end, what we need to do is go through the grieving process – and we need to come to a point where we accept what has happened, and we put this behind us. Family: I don’t want to be insensitive. Please understand – but neither Trystan or Tanner are walking through the door again, and we need to accept that. And we need to move forward for ourselves. We need to more forward for each other. Young people: I am honored that I get to be a part of your life, and I promise you – on Thursday, life is going to change. Parents: I’ll be speaking to the parents at night. I know you have a lot going on, a lot you can be doing and a lot that you have to do. I hope you make time to come out. I am going to talk to you about our teens today and their struggles. We are going to talk about the speed of hurt for young people today. We are going to talk about suicide symptoms, signs – we are going to talk about what our teens are feeling today. So until we meet on Thursday – I want to invite you to just breathe – and know that it’s going to be OK.
I’m not going to give you textbook definitions. I deal with this every single day. On Thursday, show up with an open heart. This is going to be a day that is going to change your life. I promise you that on Thursday, I will be fully present and engaged. I will be there early in the morning and I will stay as late as I have to. I am going to give you all of my heart. It’s going to be a good day. Teachers: Thank you for letting me be a part of your school community. I know you are hurting. Students: I am just honored and looking forward to being a part of your life. Parents: I know this is hard -and you wish you had the right words to say to your kids. This is probably one of the hardest things our kids will ever go through – and to try to get them to make sense of the loss of two of their classmates – this is why I am coming. I will see you guys on Thursday. For more information about Jeff Yalden, click HERE. 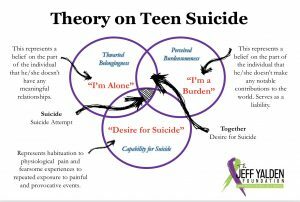 According to teen suicide prevention expert Jeff Yalden, the state of Missouri is going through a really tough time right now when it comes to teen suicide. Three weeks ago, Yalden delivered a comprehensive presentation about teen suicide and mental health in Hannibal, MO, and returned this week to Brookfield and Barnard, MO, two communities that are still reeling from the losses of two irreplaceable young people. On Tuesday, March 7, students from five schools in Linn County converged on Brookfield High School to hear Jeff Yalden speak to them on their level, and planting seeds of hope, enthusiasm and perseverance – and what he calls a drive for success in their journey of life. He captivated middle and high-schoolers, urging them to live in the now and what that might mean – the ups and downs, the challenges and the victories wrapped up in the everyday moments that, strung together, make up a life. The assembly was only the beginning for Yalden. He was booked by Angie Wallace, who founded the Taylor Gilpin Wallace Foundation for Suicide Prevention on behalf of her son after her son made the forever decision to take his own life. “Angie brought me in for an all-day event – high school kids, middle school kids, a luncheon with the community and a parent program – very similar to Hannibal,” he said, adding that Wallace and her son Tanner attended the program in Hannibal. The luncheon was attended by student council kids, physicians, the CEO of the local hospital, prominent community members and the executive director of the Missouri Association of Student Councils, Terri Johnson. A young man stood up and shared his story from when he was contemplating suicide. “Really, what this day was about was inviting the community to open their hearts and minds and understand mental health and teen suicide and how real it is,” he said. Following a dinner with the Wallace family, which Jeff cites as amazing, warm and generous, it was off to the parent program – which was set up at Park Baptist Church in Brookfield. The program was live on Wallace’s foundation page, garnering appreciative comments from as far afield as Texas. That night, Yalden drove more than two hours to Barnard, MO, where just four weeks ago, a young lady named Baylee ended her own at just 16. “A lot of teachers and counselors said that Baylee was probably the most popular junior in her class and that she was an old soul,” he said, adding that Baylee’s grandfather also committed suicide, and that they were very close. She took her life on February 5 – Super Bowl Sunday. He spoke at South Nodaway High School and noted that the principal, Darbi Bauman, was actually Baylee’s aunt. Guidance counselor Nick Wray coordinated the event, and Yalden met with all the classes individually before delivering a speech at the full assembly. The school serves grades 7-12 with total enrollment of 84 students. Students from nearby Jefferson High School attended the assembly as well. After a brief visit with faculty and staff, Yalden visited Baylee’s family’s house. “I sat down with mom, dad and her sister and heard the story. I read the suicide letter and saw Baylee’s bedroom,” he said. Yalden also saw Baylee’s scrapbook at school, and helped her fellow students clean out her locker – a poignant moment, but one which gave these young people a sense of closure. At the family home, Yalden was hit with a realization. However, Yalden said this left the community rocked to the core. “There is heartache. Everybody is hurting. They were very concerned with the kids and them moving forward. This is a very tight community,” he said. He closed out the night with a family/community program attended by more than 200 family members. “After leaving that community and hearing the hearts of everybody and the pain in those hearts, I’ll tell you – Baylee was definitely the one girl you would want to meet. 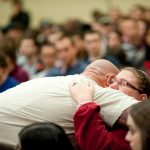 To discover more about North America’s Number One Youth Motivational Speaker – visit www.jeffyalden.com. Book Jeff now by calling 800-948-9289. Jeff Yalden: Can You hear Me Now? Finding out that there is a problem with a sound system just before delivering a presentation to 1000 middle schoolers can’t be the best way to start the day. But this is exactly what happened on February 27 when Jeff Yalden visited Heatherwood Middle School in Mill Creek, Washington, where he was set to talk to the assembly about mental health, anxiety and depression – and teaching teenagers how to reduce the stresses they face every day. Despite several hiccups with sound and the fact that school started late due to snow, Yalden spoke for 40 minutes in the gymnasium before speaking with to the three grade levels at Heatherwood separately. In the assembly, Yalden stressed a simple yet powerful formula for dealing with potentially stressful situations: Stop. Think. Respond. Things started to change for the better when Yalden got the opportunity to speak to three young men about their lives. “We talked about their attitudes, their behaviors and their choices – and I tell you that was awesome. I really enjoyed that one-on-connection that I was able to make with those boys,” he said. A highlight of the day came in the form of a breakthrough with a young lady who had been struggling to the point of despondency. “The principal and I got to talking, and we took her up to the office and were able to chat with her. The counselor came in and we were really able to make great headway with this young lady. I got to work with her one-on-one. We got to find out her story, assess the situation and got to look at the big picture,” he said. It’s amazing what can happen when you push through obstacles and keep going. Yalden closed out the evening with the parent program, which had an impressive turnout of roughly 50 parents. The topic that night was teens and mental health. “We talked about what is important today with our teenagers and raising their self-esteem and how we can go about that – and the importance of our kids learning coping and problem-solving skills,” he said. He warned of the pitfalls of being “helicopter parents,” always hovering and trying to pick up the pieces of our kids’ relationships too fast. Yalden discussed the effects of social media and cell phones and admonished parents to take a more vigilant role – but he also said he wasn’t talking about taking these away either. “Parents really need to start being really proactive and monitor what their kids are doing online and with their cell phones. They need to understand all the social media platforms their kids are using,” he said, adding that our kids don’t have the emotional and mental maturity to be putting all of this stuff out there, and realizing the consequences of what they are putting out there. “One of the best things we can do is to teach our kids how to go through the struggles of life and come out on the other side. And that’s building self-esteem,” he said. To find out more about Jeff’s speaking and coaching programs, visit www.jeffyalden.com. Book Jeff now for your school or organization now by calling 800-948-9289. 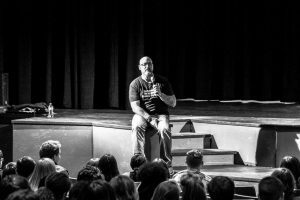 On Thursday, February 16, North America’s top teen motivational speaker Jeff Yalden visited Hannibal, Missouri to talk about teen suicide and suicide prevention – and in this part of the “Show Me State,” he was humbled by the people that showed up. Yalden was booked for a full day – presenting to middle school and high school students and teachers, and closed out the evening with a very well-attended parent community program. Hannibal High School lost a popular high school senior, Hannah, to suicide in 2015, just days before she was to graduate. 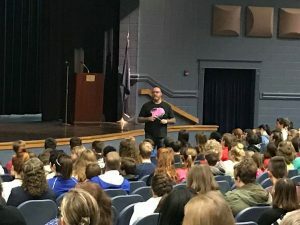 For the middle school, Yalden spoke on topics such as keeping an open heart and fearlessness – about bullying, respect for self and others – and tried-and-true subjects like attitude and choices. Yalden was struck with the ambiance of Hannibal Middle School as soon as he walked into the foyer. “They are the Pirates, so it screams red and black with a lot of kids’ art in the front – and it’s a very enthusiastic building. That first impression is what you want to see in a school,” he said, noting the palpable sense of school spirit and pride emanating through the halls. “There was a very strong synergy in the building. I got to talk to a bunch of kids and teachers afterward,” he said. Yalden joined more than 20 people for lunch at a local eatery, Fiddlestiks Food & Spirts Company. “We had an incredible lunch with movers and shakers in the community, from the school psychologist to the superintendent [Susan Johnson], the resource officer and people from Hannibal Regional Hospital,” he said, adding that some of the folks from the foundations that brought him in were also on hand. Also, these people included Hannah’s parents and another family from Brookfield, MO who had lost a son to suicide and are brining Jeff to their community on March 7, 2017. The groups and individuals sponsoring Yalden’s visit were the Lois Eleanor Neff Foundation, Justin and Brooke Gibson, The Riedel Foundation, Early Bird Kiwanis of Hannibal, R.O. Parker, Hannibal Regional Healthcare System, Casey’s General Stores and the Hannibal Alliance for Youth Success. Yalden said two families lost a child to suicide in the area within the last two years. Lunch conversation centered on making suicide prevention a priority and learning what they can do to be proactive and keep the Mental Health message moving along – Being Proactive. “It was an amazing conversation about how to sustain this and what we can do differently. It was so incredible to see this community coming together and saying, ‘what do we need to do to make this happen’ and put a plan in place. It was great,” he said. When it was time to present to Hannibal High School students, Jeff was surprised that there were no 12th graders in attendance. A pleasant surprise, however, was the fact that 300 parents attended the parent community program later in the evening at the Hannibal Nutrition Center. Jeff also talked about teen cell phone use, social media, direct and indirect verbal clues about teen suicide and follow-through. He helped Hannibal High School develop a plan about what to do in the event of a suicide. “This is a model community that is doing great things. I had an incredible visit and am very, very honored,” he said. Missouri is experiencing a rash of suicides right now. Jeff is already booked in Brookfield, MO on March 7, Bernard, MO on March 8 and will speak at Lindenwood University in St. Charles, MO on March 21. To book Jeff now for your school, organization or event, call 800-948-9289.